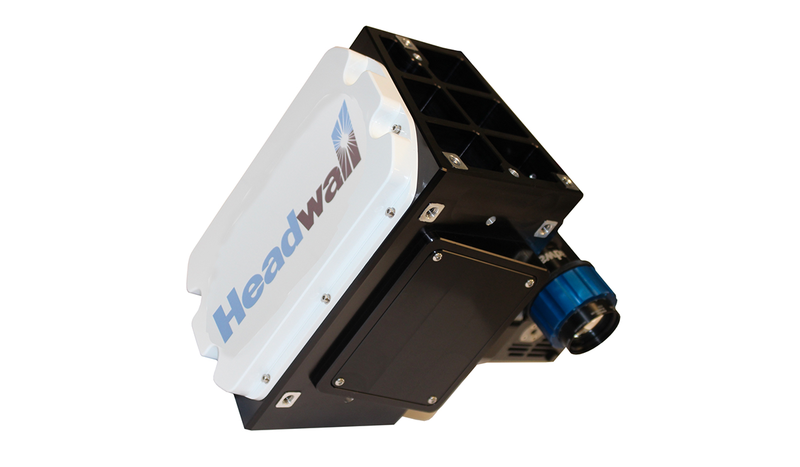 Headwall's HYPERSPEC® family of hyperspectral imaging sensors are small, light, and rugged. 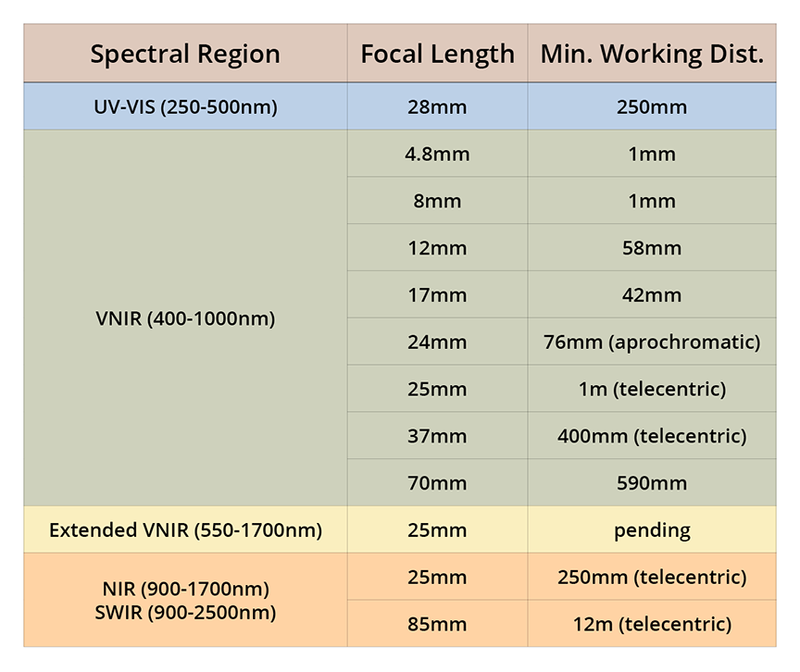 The simple but elegant all-concentric design uses precisely-engineered master-quality holographic diffraction gratings and mirrors to deliver high signal-to-noise, high spectral and spatial resolution, and a wide, aberration-corrected field of view. 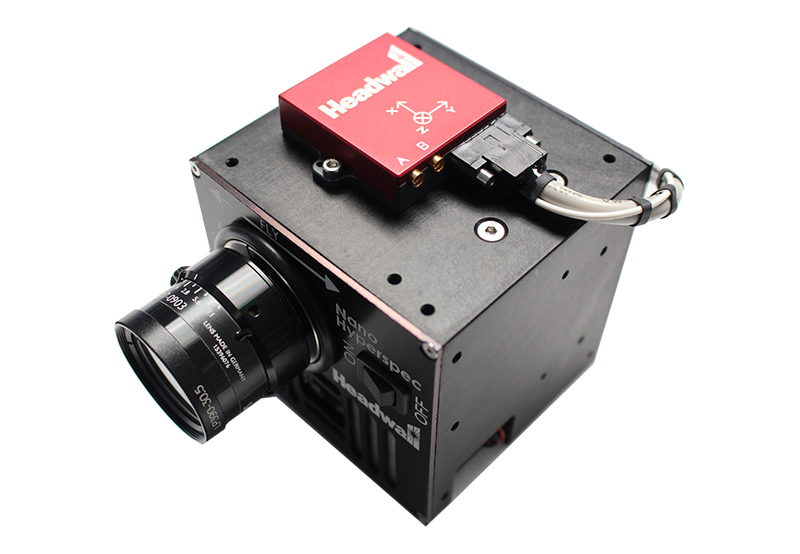 HYPERSPEC® sensors are line-scanning instruments (sometimes called pushbroom) that collect reflected light through an image slit. One row of spatial pixels is collected per frame as motion occurs, with each pixel containing full spectral data. Motion can be accomplished in two ways: either as an airborne deployment (UAV, aircraft, or satellite) or stationary (where motion is accomplished beneath the sensor, such as a food inspection line). 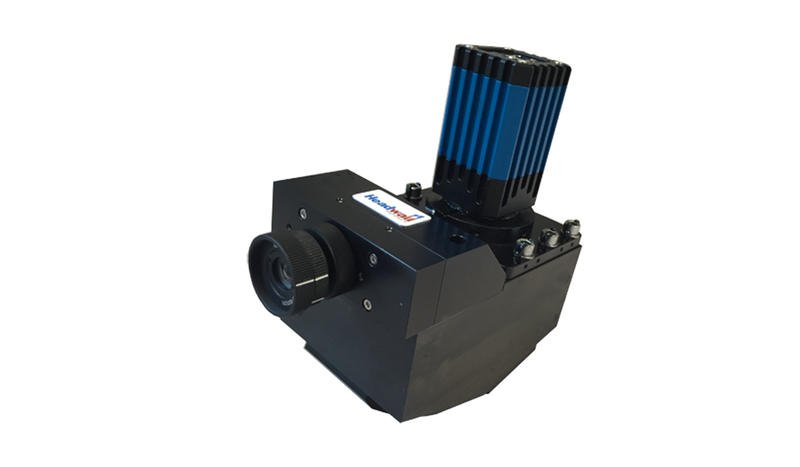 A third option is also available where pan-and-tilt or rotary stages allow a fixed-location sensor to scan a stationary object (such as a piece of artwork, or a mine face for geological applications). 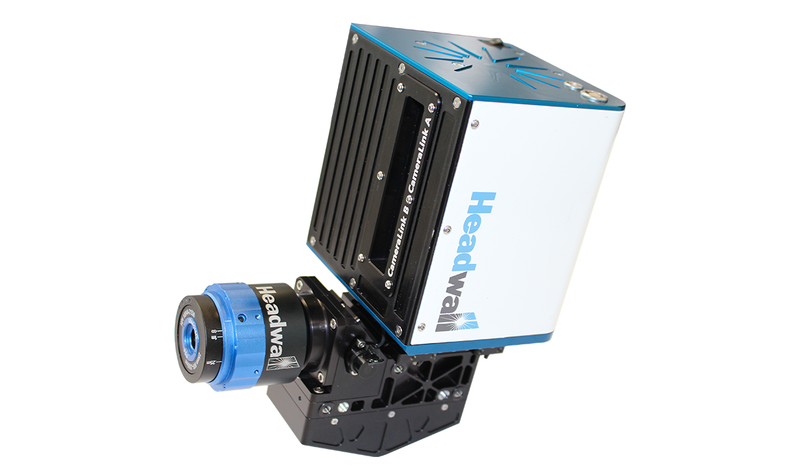 A hyperspectral data cube thus contains complete X, Y, and wavelength data that can be analyzed and managed through Headwall's powerful applications software. 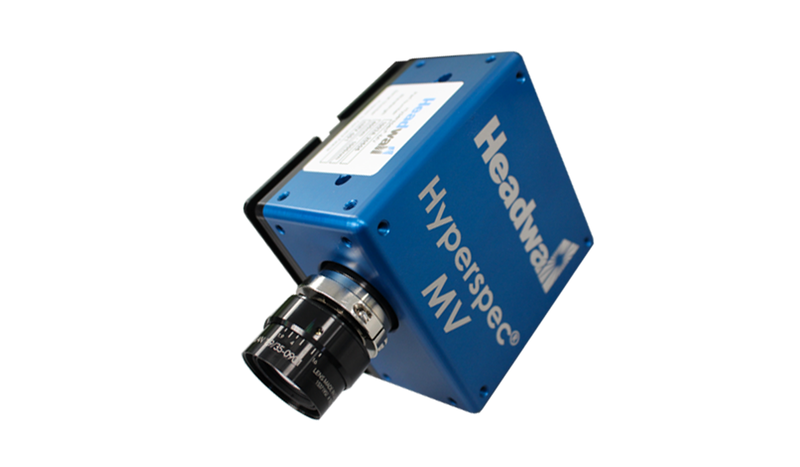 Among several lens options are Headwall's telecentric VNIR and SWIR versions. 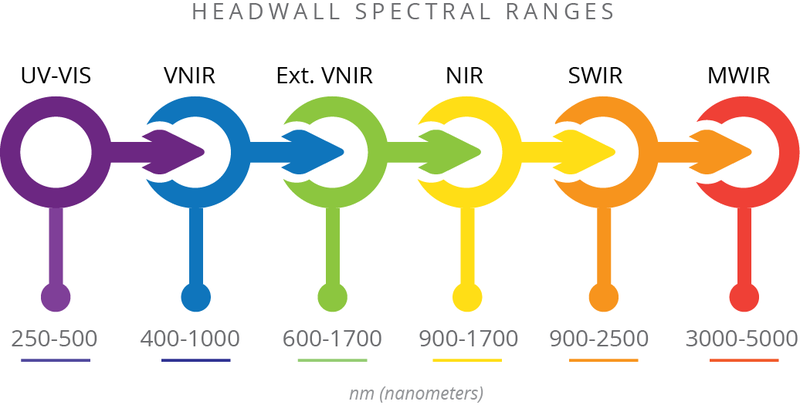 Headwall's standard hyperspectral ranges are shown below, with Midwave-IR (MWIR) available upon request. 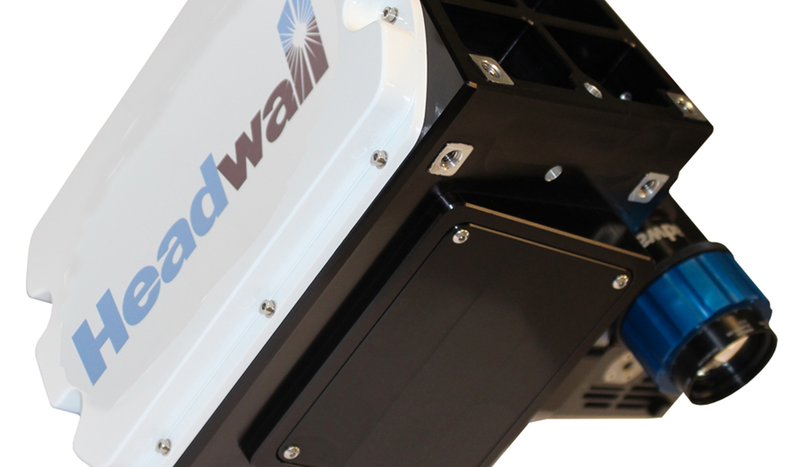 Because airborne-acquired spectral data is influenced by several variables, Headwall offers very precise and thorough radiometric calibration services to its customers. 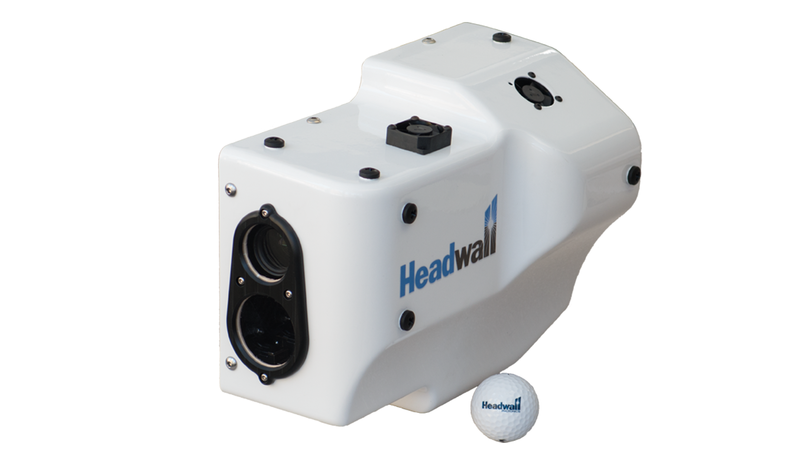 These variables include atmospheric absorption and scattering, sensor-target-illumination geometry, sensor calibration, and image data processing procedures. Contact us to learn more about this valuable service, which is applicable to any of the airborne sensors below. Typical applications: Remote sensing, particularly environmental monitoring where high resolution chlorophyll fluorescence measurements are needed.